Below are actions and some brief questions that can be important before adding social media to your recruiting mix. What are the typical profiles you recruit for? What industries do they typically work in? Are they young professionals or experienced? What do they do online? Do they watch videos, do they participate in competitions, do they chat in groups or with one person at a time? What are your company’s short-term and long-term business goals? Will you be entering new markets? Will you be expanding a particular business unit? What type of growth are you expecting? Will you be downsizing in any departments? You no longer can define your employer brand, you already have one. You need to scan not only what people say about what it is like to work at your company, you need to learn more about what they are saying about your products and services because actually this has become an essential piece to your employer brand. Make sure employer branding is ‘owned’ by both HR and the Marketing/Communications departments. Scan the social web to listen and learn what customers, partners, employees and alumni are saying about your brand. Who is talking about your company, services and products and what are they saying online in forums, on blogs, on Twitter, on Facebook, on LinkedIn? What have you defined as your EVP (Employer Value Proposition) today? After you scan the social web, is your current perceived online employer brand inline with your preferred brand? What channels do you use today to attract and recruit candidates? What channels do you use today to communicate your employer brand. Go through your current strategies and determine the key pieces that will change or be affected by adding social media. The type of content you share is essential. For example, constantly listing jobs is not a valuable part of social recruiting. The key is to engage in conversations. How do you do this? Provide industry news, helpful job search tips, company interviewing tips, fun competitions, introducing one candidate to another – this is content that is more valuable to your social recruiting strategy. Use tools like Hootsuite to post content on sites to make this part easier. Without goals, your social media presence will fail and not give you a return on your investment. Set goals for each channel (employee referrals, company website, job boards, social media, employee referrals etc.) so you know what should come out of your social recruiting strategy. Your number one goals should be to set an engagement level for each channel. How many conversations should you engage in with key talent? How many jobs ideally would you like to see filled through each channel? Ambassadors can be valuable, who should they be? Determine key employees, customers, partners that can positively impact your brand (corporate and employer) online. Determine recruiters and hiring managers that can promote your brand through the social web with a specific focus on connecting, attracting, engaging with, recruiting and retaining the best people. Preferably chose ambassadors that are active on or at least familiar with the social web. What resources will you have? What will your social recruiting budget be? Teaching your employees about social media is one of the most important steps. They don’t need policies but rather they need to know how social media works, the benefits and the company’s social recruiting plans. Define valuable guidelines for your ambassadors, recruiting department, employer branding team and marketing department. Present plan to all that will benefit with a focus on how to and what content to post. You have decided now which social media channels you should to your recruiting mix. Should you design the pages internally or with an external consulting or IT firm? Do you need a designer or design agency to design any material for each channel. For sites like Facebook, if listing your jobs is determined as a key part of your plan then have your consulting firm or IT take a couple hours to add them. This is not difficult nor expensive. Monitoring your employer brand is extremely important to your social recruiting strategy. Tools like Social Mention, Hootsuite, Google Alerts and in some cases more advanced tools can help you effectively monitor your employer brand each day. It is essential to quickly respond to all. On a daily basis you need to listen, answer and engage with talent. You know your goals, you need to also measure them. Why? Maybe some channels are working better then others and you can designate more resources to that channel. Or maybe you need to increase your efforts on the channel that is not delivering the engagement level you set. It can also be interesting to measure followers, job views, applications, interviews and eventually retention levels for each channel used. Just launching or paying a company to design a Twitter or Facebook page will not result in a successful social recruiting strategy. What have you all experienced? Varför skriver du allt på engelska när vi är Svenskar som läser HrSVERIGE.nu. Känns som att det är kopierat rakt upp och ner. 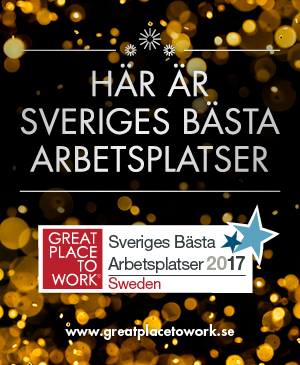 Sant är att bloggposten är postad på HR Sverige, vilket riktar sig primärt till svenskar. 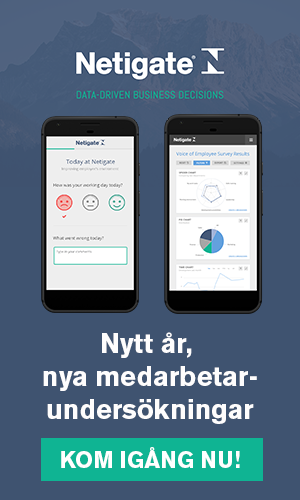 Vi får anse att generellt är engelskanivån bland våra medlemmar såpass god att en bloggpost på engelska för att ge lite annat perspektiv ibland kan vara bra. Ang. kopieringen så vet jag inte var detta skulle komma ifrån i så fall och jag har som lite ansvarig för bloggen heller ingen anledning att tro att det är kopierat. Men har du synpunkter på detta är du givetvis välkommen att kontakta mig.